This wonderful 6000 Sq. Ft. 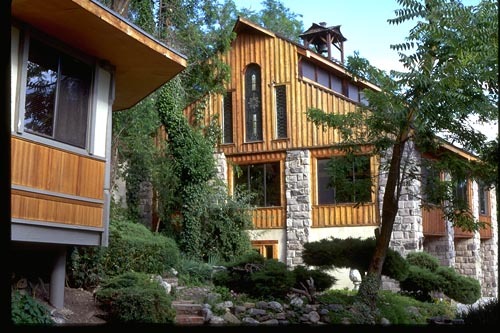 Studio and Office was constructed in 1962 using materials from the 1800's. The upper floor is a 3000 Sq. Ft. ballroom with cathedral ceilings and beautiful parquet floors. The lower level includes six individual offices, storage and a large reception area. There are four restrooms in the building. Attached is a charming two bedroom caretaker cottage.